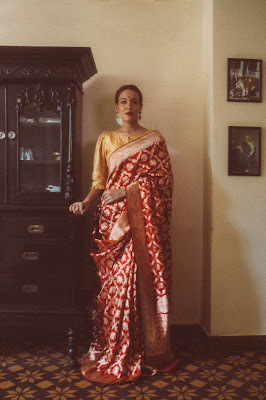 “My mother wore a Banarasi Tanchoi on my marriage, you know… An exquisite six yard embellished with antique Zardozi. Every time I see the album, I forget myself and stare at her.” Aanchal Sagar Jain rues her decision to don a designer lehenga on her big day. “I should have worn a handwoven sari. 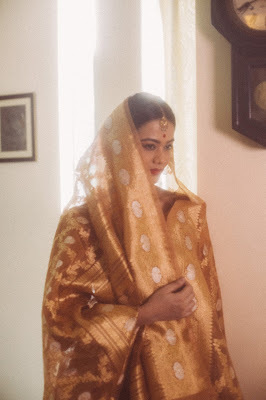 I would have loved myself in those pictures more that way…” I take a liking to Aanchal instantly. 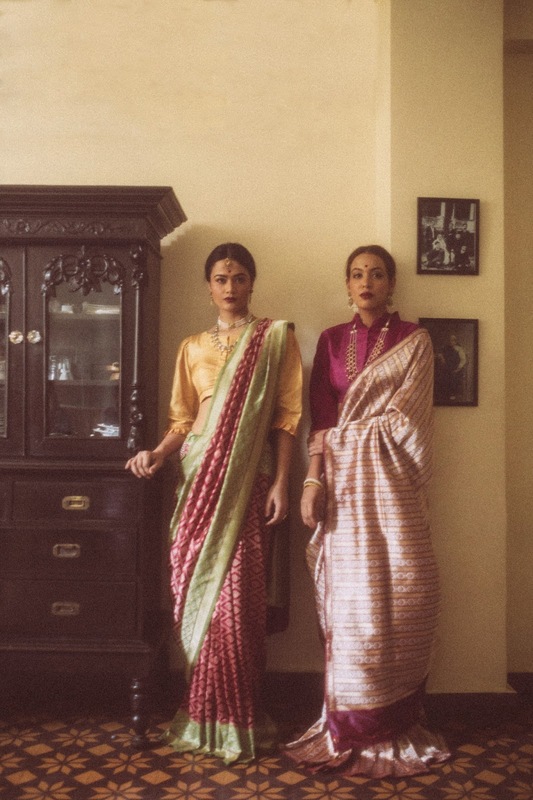 We lighten up over a crostini and fresh orange juice at Good Earth café in Khan market as she narrates her rendezvous into the world of heritage weaves and timeless handcrafted textiles. Aanchal and her sister, Akshita Sagar, launched Ohfab a year back to do something that they passionately felt about… to restore and revive the lost weaves and designs dying a slow death in the serpentine lanes of Varanasi. 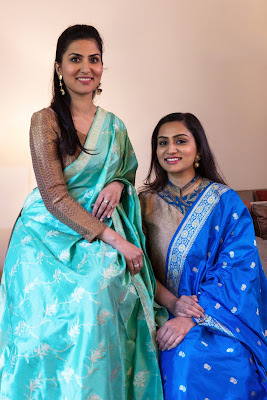 But unlike most designers their age championing the cause of heritage fabrics and textiles, Aanchal and Akshita are clear about one thing… they want to retain the old-world charm in their works. 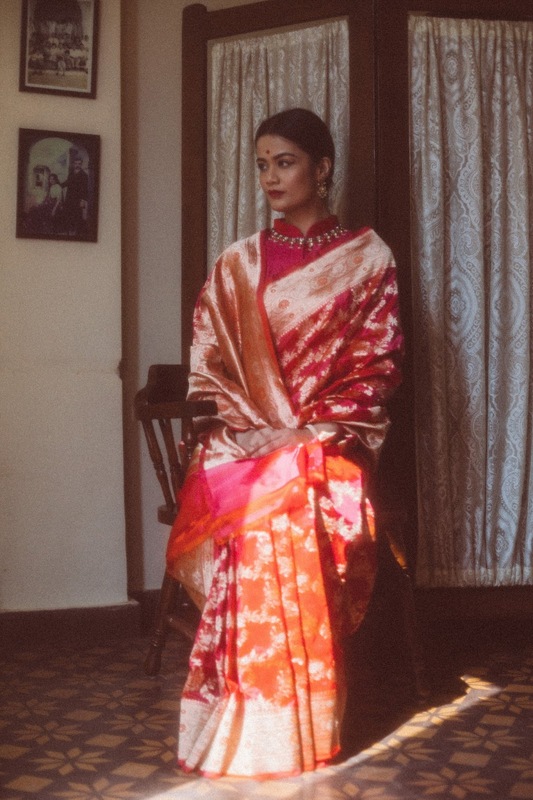 If you do peek into their look books and Instagram page, it would be like staring into the fragile pages of the past, brittle at a touch but promising vignettes of the vintage… the sepia-washed skin, the sun-kissed air and the redolent life… women in heirloom bijouterie, ensconced in rustling six yards, each telling an intricate story… of love, laughter and looking ethereal. The coy demeanour of the women draped in rich fabric that showcases the intricate workmanship of the weaver, is only enhanced by the old-world aura that is purposely recreated in every frame. The Ohfab look is a luxurious reminder of the days of yore, which the enterprising sisters have unfurled through their painstaking efforts. A ground study revealed to the siblings that while there were skilled artisans willing to hold on to the old techniques and design graphs, the rampant unscrupulous market mechanism riddled with middlemen curbed their creative instincts. This led to the gradual extinction of the old designs. “When we went through old swatches in their little units we fell in love with the ancient patterns that were so much more ornate and intricate than some of the modern forms. But not everyone was eager to experiment backwards. Gradually, we won them over with promises of sales and vanquishing the predominance of middlemen. 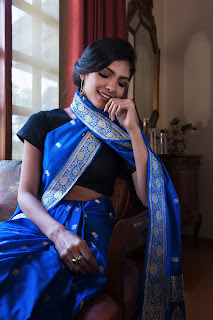 Weavers often felt surprised that we cajoled them to weave the ancient patterns complaining that the modern taste wouldn’t find favour with the vocabulary of jaals and junglas. But we trudged on,” Akshita explains from Ambala, “It’s sad that the next generation doesn’t want to get into weaving like their fathers. They find it too tedious and not rewarding enough. 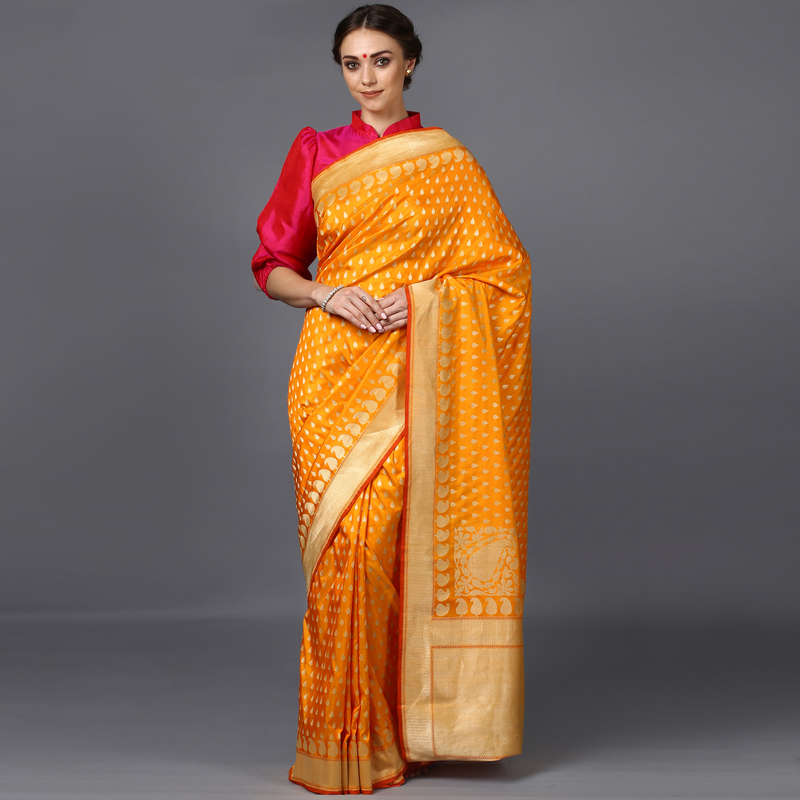 The irony is that when our clients see our ware, they are pleasantly surprised that we actually have something that looked like the sari their grandmothers wore. 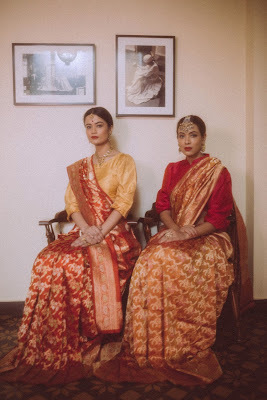 We are striving to bring back the glorious past and that is what we tell our weavers, to take pride in their heritage,” avers Aanchal. Every year the sisters (Aanchal is settled in Bangalore and Akshita in Ambala) take numerous trips to Varanasi, Kota, Gujarat and Paithan to explore what’s hot in the hinterlands of weaves and textiles. They are fascinated by how the social demographics influence weaves and patterns. For instance, just like how Shikargah uses fine minakari to depict flora and fauna, a Baluchori too, uses exquisite weave bindings to depict mythological figures. Unlike weaves of Varanasi, the weaves of the South uses human figures a lot. What the sisters lack in technical education, they try to bolster through in-depth study and research. Armed with knowledge about the country’s history in woven fabrics that has been collated through various visits to museums and information websites (Aanchal sounds excited about her recent trip to Barcelona that turned out to be a revelation in the realm of historical textiles; they want to do something with weaves of Iran) the sisters are convincing dormant weavers from various craft districts of the country to get back in the trade that they left due to non-profitable returns and disbalanced market forces.